By comparison, the four-cylinder 2.3-litre EcoBoost (which Ford bafflingly pronounces as the ‘EchoBoost’) completes the same 0-62mph sprint in 5.8 seconds. 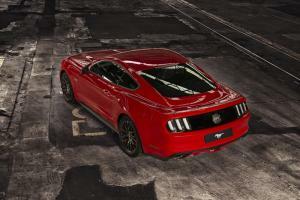 Ford also confirmed that the V8 model produces 421PS and 530Nm, with the EcoBoost delivering 317PS and 432Nm. 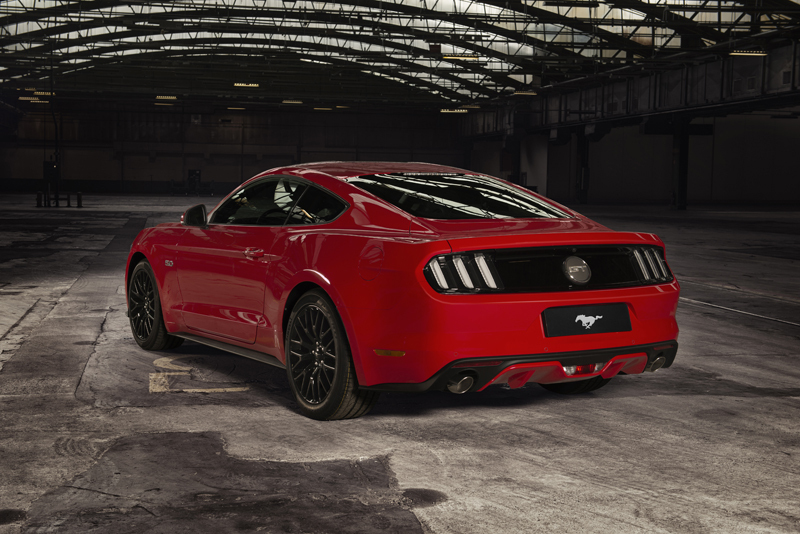 The V8-powered GT model has a top speed of 155mph, with the four-cylinder car topping out at 145mph. Ford’s Mustang Specialist, Jan Herzog, went on to confirm that both models are available with either manual or automatic six-speed transmissions, with European-spec Mustangs receiving revised gearing and final drive ratios. As revealed earlier, economy ranges from 35.3 mpg for the EcoBoost manual to 20.9 mpg for the V8. Curiously, the V8 auto is more economical at 23.5 mpg. Emissions figures for manual cars start at 179 g/km for the 2.3-litre car, while the V8 emits 299 g/km. Both GT and EcoBoost models will be equipped with the Performance Pack as standard, with the suspension settings being tweaked slightly for European tastes. A Europe-specific silver alloy wheel will be available for those that prefer an alternative to the GT’s standard black wheels. 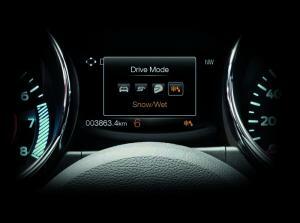 The Mustang offers toggle-switch access to the ESP system, plus three settings for steering assistance, and four drive modes: Normal, Sport Plus (which revises ESP and traction control settings and, on auto models, alters the shift points), Track, and Snow/Wet. Line Lock for V8 models – which provides 15 seconds of wheel spin with the front wheels locked, a la drag strip – and Launch Control are also available as part of a series of ‘Track Apps’ that includes functions such as an accelerometer, an acceleration timer and brake performance measurement. In terms of practicality, the Fastback offers 408 litres of boot space, with the company claiming two golf bags can be carried even in the Convertible model. 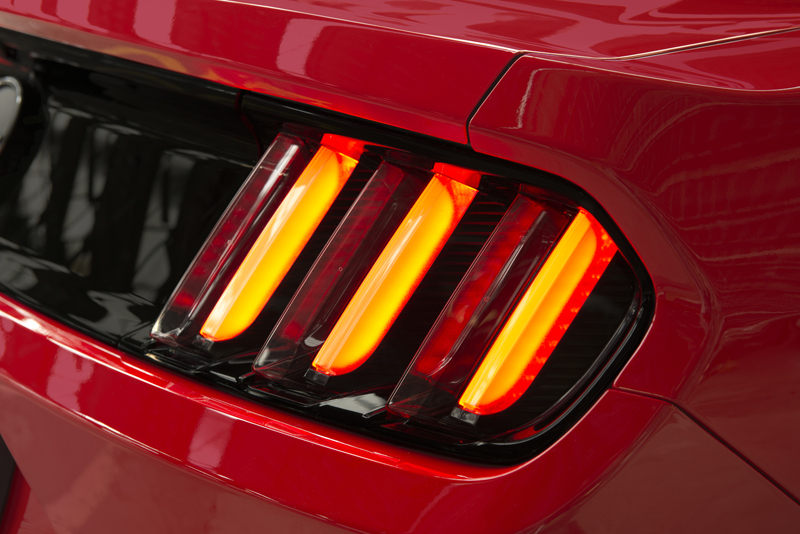 European models use a special design for the rear LED tail-lights that features a clear lens, with amber turn signals illuminating the outermost element of the tri-bar design. 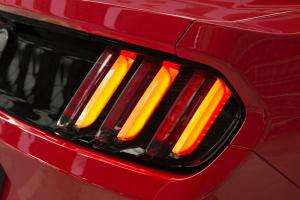 A combined rear fog-light and clear reversing light is located in the rear diffuser. 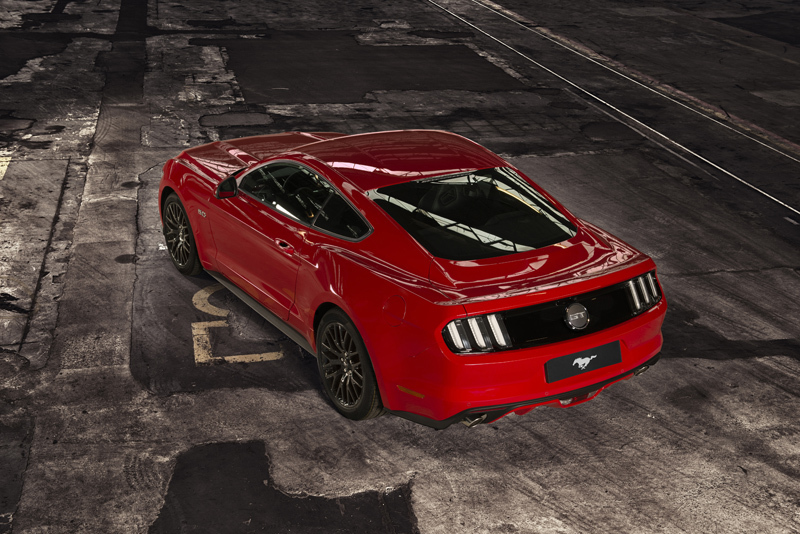 The Mustang will be offered in ten colours: Shadow Black, Oxford White, Race Red, Competition Orange, Deep Impact Blue, Guard Grey, Ingot Silver, Magnetic, Ruby Red, and Triple Yellow. 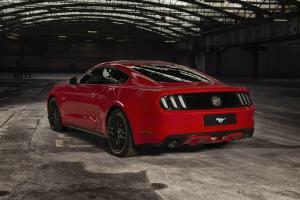 Ford revealed that it has already received over 2,200 European orders for the new Mustang, with more than 1,200 of those from customers in the UK. 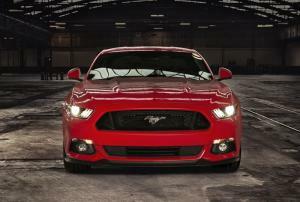 The new Mustang is set to arrive in European dealerships from July, with UK deliveries expected from October.